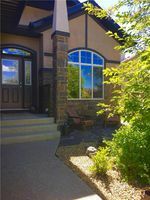 Gorgeous fully finished bungalow in the Evercreek Bluffs is perfectly situated across from Fish Creek Park! Refinished hardwood flooring, 10’ ceilings, & A/C are just a few of the many upgrades that come with this beautiful home. The kitchen features granite counters, centered island with raised eating bar, corner pantry, & an abundance of cabinets. Formal dining room, front den, & living room are all surrounded by windows for natural sunlight to shine throughout. The master retreat features a 5-pc en suite that has dual sinks, granite counters, a glass surround shower, separate soaker tub, & WIC with built ins. 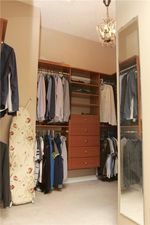 An additional bedroom, 4 pc bathroom, & laundry room complete the main floor. 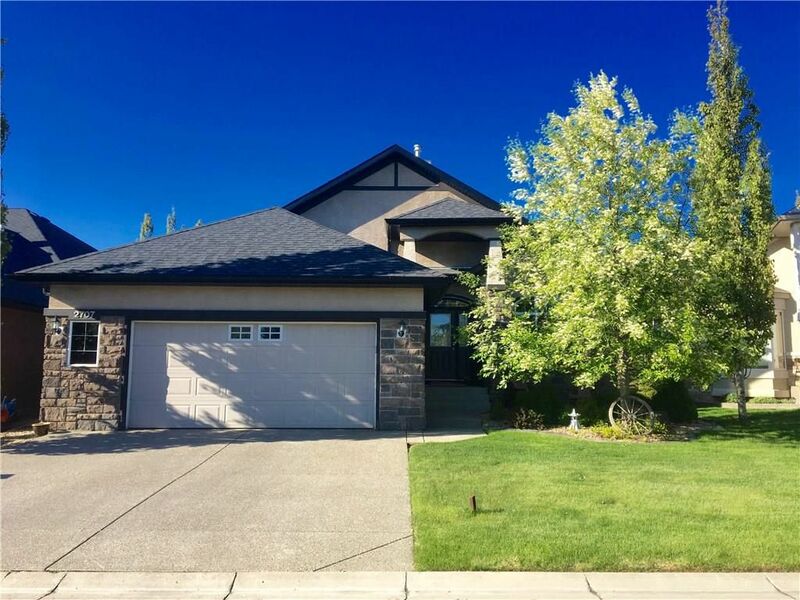 Professionally developed basement offers 9’ ceilings, a custom bar with fridge & wine rack, games room, family room, gym, den with French doors, 3 pc bath, & the 3rd bedroom. Stunning south facing back yard features a stone patio, gas line for BBQ or heater, pergola, & mature trees for shade & privacy. Conveniently located just steps from Fish Creek Park, walking paths, & amenities.